A patent by itself does little, and needs enforcement primarily through litigation or credible threat thereof. Indeed, the patent property is largely a right to sue others for infringement. Patent infringement is similar in some ways to trespassing on land. A patent claim is like a collection of stakes marking out the perimeter of a patented invention. Patent claims serve as devices for testing patent infringement and invalidity. Patent claims are made up of limitations, which are selected elements or steps implementing an invention. The set of limitations comprising a patent claim is not complete, but instead the subset necessary to differentiate the claim from prior art, while still trying to leave a wide scope of infringement. 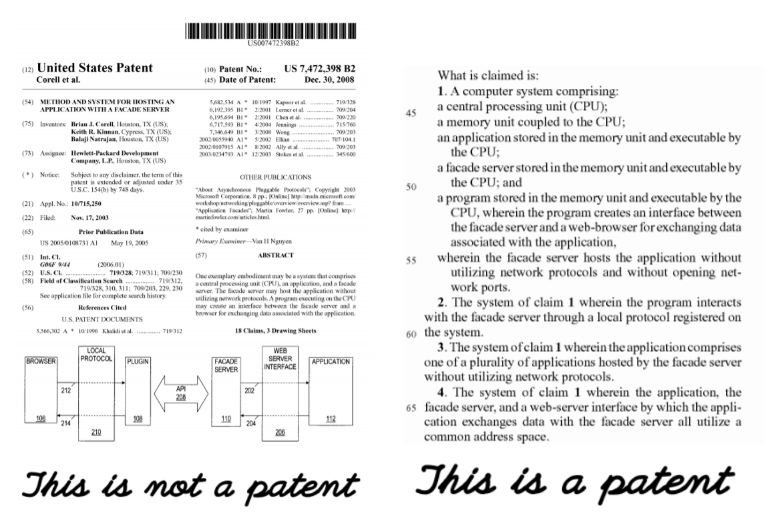 The size of a patent claim is an indication of claim scope (e., whether a claim protects a large or small area of technology). Adding limitations generally reduces claim scope, but generally increases likelihood of validity. “Claim construction” uses the patent specification (and a hierarchy of other sources) to interpret the meaning of terminology in a claim. The boundaries of patent property are determined in part by steering between infringement and invalidity. Upcoming articles in this series will cover topics such as comparing a patent claim to an accused product, defending against patent infringement, investigating possible infringement or invalidity, and using claim charts for analyzing infringement and invalidity.